Shake well before use! Add between 10-20 ml Terra Grow per GAL of water. Use this nutrient solution every time you water in the growth phase. It helps to keep your solution moving (circulating pump) and that your tank is clean before you create the solution. Tip: Terra Grow will keep four days after you have dissolved it in water: always observe the pH because this is likely to increase slowly. Please also note that if you are using organic products in the same solution, as they may spoil after 24 hours. 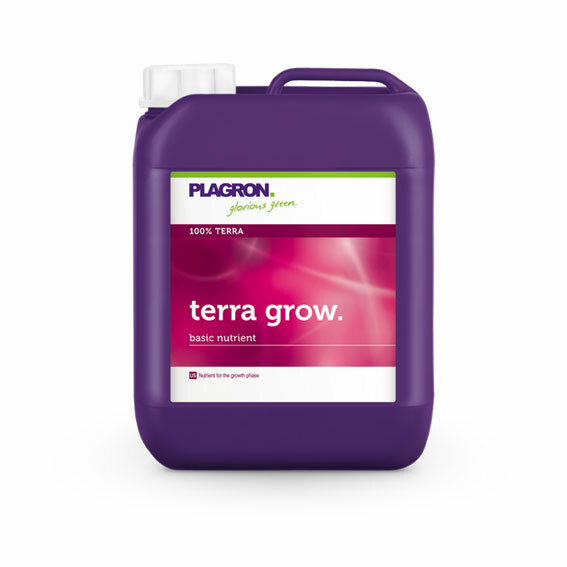 Tip: Terra Grow will in 90% of cases automatically self-buffer its pH value to a desirable range. Prior to irrigation, ensure a pH value 6 and 6.5. 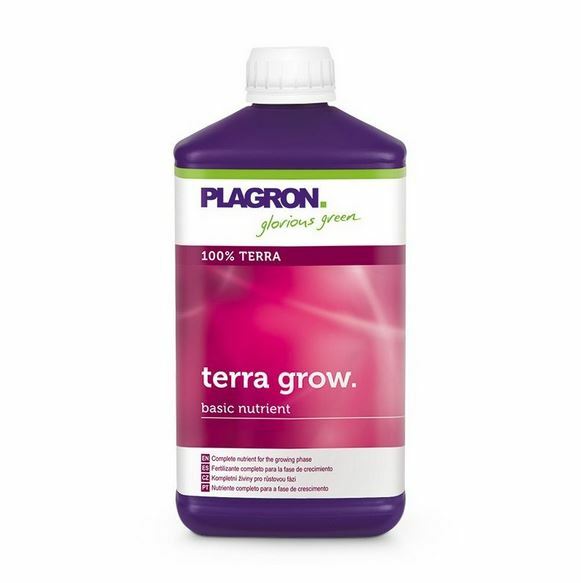 Terra Grow, an exclusive formulation of biological and mineral brought to you by Plagron. This composition is designed specifically for “soil” and peat based gardens. The simplicity of the 1-part base delivers consistent results with exceptional quality in growth characteristics from your plants. Apply this base nutrient to all vegetative gardens for gloriously green plants. Single-part designed specifically for “soil” and peat growing. Biological and mineral based components for the best of both worlds. Optimally designed for enhanced chelation. Versatile both indoors and outdoors. Suitable for most watering programs.